The consulting company just celebrated its 10th anniversary in a gathering attended by fifty leading members and representatives in Frankfurt. Established in October 2000 by former Schenker executive Klaus Geissler, it seems no wonder that ever since then, many Schenker managers jumped on board to become members or partners of adi Consult. Today, adi is a global player in the field of personnel sourcing and placement, management consulting and M&A assignments. “We run offices in 26 different countries, with 43 offices that cover roughly 100 countries,” states Managing Partner Klaus Geissler. This year, the group expects to turn over approximately nine million euros. The group has nearly 20,000 candidates globally on file and executed roughly 2,400 mandates during the last twelve months. After the global crisis caused a financial drought in the cash box last year, a flow of money is much appreciated. The pace of the sourcing business in logistics is accelerating more and more over the last few months. “On our application list stand, not only the names of CEOs and other top shots in air freight and logistics, but also the so-called high level but also somehow lower ranked candidates like regional sales executives, general managers, market analysts, or country managers,” explains Geissler. 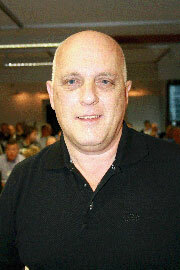 This middle ranked section “is an increasingly interesting sourcing field that we should concentrate and focus on much more,” recommended San Diego, California-based Helmut Berchtold, Managing Partner himself, and a major shareholder in adi’s U.S. branch, possessing 5 percent in adi Consult Germany. The meat and potatoes of the sourcing biz is confidentiality and providing a system for both the applicant and the enterprise that is looking out for experienced and talented candidates for a certain position. “Managers who have a secure job don’t normally risk changing employers. Only if an alternative assignment offers superior benefits in terms of salary, influence and decision making might they consider taking the risk,” Berchtold says. According to Berchtold, bigger companies very often need a lot of time to decide whether they want to hire an applicant or not. Smaller firms are less complicated due to a much faster decision-making process. “In the U.S. we recently had a case where a leading sales person waited three months for a yes or no by a major logistics player. This process seemed to become endless, so we offered her an alternative at a smaller company. She had the job within three days,” recalls Berchtold. Further, he reports on a trend, especially in the U.S., where firms expect candidates to bring their customers with them when switching jobs. In that case, it becomes more and more customary that leading sales people in air freight and logistics are offered 60 percent of their income as base salary, with the remaining 40 percent consisting of provisions. “But if the newcomer fails to bring his clients with him, then he suddenly has a financial shortfall,” Berchtold says. Today, most people still find new jobs just by knowing and talking to other influential people within the logistics industry. This accounts for roughly one quarter of the recruiting market. 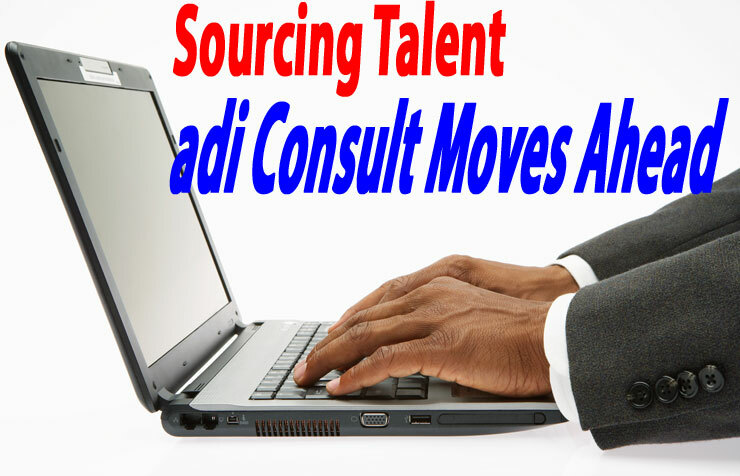 Sourcing specialists like adi Consult are next contributing 18 percent. Ads in print media have become of declining importance. Instead, the worldwide web is becoming increasingly important in the field of personnel sourcing. This is why at adi Consult they are currently implementing ‘Globs’ (Global Logistics Jobs), a newly created internet platform for candidates. Further, adi announced plans to convert the enterprise from a firm with limited liability (GmbH) into a joint stock company (Aktiengesellschaft – AG). The shares will not be available for public trading, but spread among the adi partners instead. “This step will bind our members even closer together,” states founder Klaus Geissler in his final remarks at Frankfurt’s birthday party for adi Consult.